Meet Team Arrow 2.0 before the season premiere of Arrow Wednesday, October 5th on The CW. When a new threat emerges in National City, Kara/Supergirl (Melissa Benoist) teams up with her cousin, Clark Kent/Superman (guest star Tyler Hoechlin), to stop it. Kara is thrilled to have family in town but it leaves Alex (Chyler Leigh) feeling a bit left out. Meanwhile, Hank (David Harewood) and Supergirl are stunned by the pod that came crashing to Earth. Glen Winter directed the episode with story by Greg Berlanti & Andrew Kreisberg and teleplay by Andrew Kreisberg & Jessica Queller (#201). Original airdate 10/10/2016. Marvel's Agents of SHIELD 4x02 "Meet the New Boss" Sneak Peek #2 - The new Director makes it clear to Agent Coulson and Agent May that since they will be unveiling S.H.I.E.L.D. as a legitimate agency again, it's kind of a bad time for former agents to be robbing banks. Coulson tries to convince him that Daisy won't get in their way, but he's not so sure. At the end of their meeting, he asks May to leave and tells Coulson he has a special assignment for him. Gotham 3x03 "Look Into My Eyes" - Hypnotist Jervis Tetch/Mad Hatter (Benedict Samuel) arrives in Gotham to search for his sister, Alice (guest star Naian Gonzalez Norvind), and hires Gordon to help find her. Meanwhile, Penguin decides to run for mayor and Bruce’s doppelganger begins to channel him, causing some confusion around town in the all-new “Mad City: Look Into My Eyes” episode of GOTHAM airing Monday, October 3rd on FOX. Based on a popular 'creepypasta' (user-generated horror stories that are published and passed around the Internet), Candle Cove centers on one man’s obsessive recollections of a mysterious children’s television program from the 1980s, and his ever-growing suspicions about the role it might have played in a series of nightmarish and deadly events from his childhood. Quantico 2x01 "Kudove" Sneak Peek #2 - When season two begins, Alex finds herself at “The Farm,” the CIA’s mysterious training facility. As Alex navigates the dark world of espionage, far different and more dangerous than what she’s learned before, she’s pulled into the center of a deadly conspiracy that not only threatens the lives of this country’s citizens, but the lives of countless others across the globe. This conspiracy calls everyone around her into question, be it new faces from the CIA or old ones from the Bureau. Prepare yourselves for another thrilling and heart-stopping adventure loaded with surprises you won’t see coming, on “Quantico,” airing Sunday, September 25th on ABC. The final season begins next month. The Vampire Diaries Season 8 premieres October 21st on The CW. This brand new and exclusive six-part series tells the stories of the world's greatest hoaxes through the eyes of the people who set them up, and those that shut them down. These hoaxers are at the centre of the history of the time, caught up in historical circumstances and contexts that allowed their outlandishness to take root. What started out as harmless fun went on to have serious ramifications for history as a whole, and for those that were involved. From Hitler and alien invasions, to alien autopsies and war-time subterfuge, History's Greatest Hoaxes tells the full stories behind some of the world's biggest ruses. How did a film, presented by a dubious producer based in London and purporting to show an autopsy being performed on a dead alien come to convince large parts of the UFO-hungry public that it was authentic? Why did the producer’s reluctance to have the film authenticated and his string of broken promises not raise alarm bells? 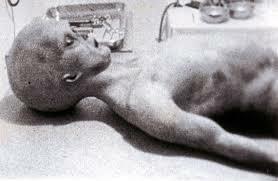 This episode looks at how a hoax that travelled the world and itself was the subject of a hoax some years later, but also the actual Roswell incident, which gave birth to all alien conspiracy theories back in the 1940s. Arrow Season 5 premieres Wednesday October 5th on The CW! The arrival of a deadly new adversary will force Oliver to confront questions about his own legacy, both as mayor and as the Green Arrow. How to Get Away with Murder 3x01 "We're Good People Now" Sneak Peek - After Annalise finds a flyer labeling her as a killer, she reminds the Keating Five that there's nothing to worry about and that they're all good people. Scream Queens 2x02 "Warts and All" - A new patient (guest star Colton Haynes) with a hideous ailment visits the hospital in hope of a cure, but finds a love interest instead. Meanwhile, Chad returns to win Chanel back and, in the process, discovers a dark secret of Brock’s. Then, after another run-in with the killer, Munsch enlists the help of new Quantico special agent Denise Hemphill in the all-new “Warts and All” episode of SCREAM QUEENS airing Tuesday, September 27th on FOX. Marvel's Agents of SHIELD 4x02 "Meet the New Boss" - Daisy goes to battle Ghost Rider at a terrible cost, and Coulson faces the new Director, and his bold agenda surprises them all, on “Marvel’s Agents of S.H.I.E.L.D.,” Tuesday, September 27th on ABC. This Is Us 1x02 "The Big Three" - Kate (Chrissy Metz) is furiously working hard to shed her unwanted pounds as she continues to struggle with impatience and discouragement. She receives support from her new boyfriend, Toby (Chris Sullivan), as he helps her let loose and enjoy herself. Beth (Susan Kelechi Watson) begins to question the motives of Randall's (Sterling K. Brown) biological father, William (Ron Cephas Jones), and takes action in getting answers on his activities. Randall has a lot more on his mind with the new life-changing addition of having his biological father in his life. Marriage and raising three 8-year-old children is beginning to take its toll on Rebecca (Mandy Moore) and Jack (Milo Ventimiglia) as they start to feel distant from one another. Kevin (Justin Hartley) faces the aftermath of quitting his job as he deals with his agent, Lanie (Katey Sagal), and has to figure out how to move forward. 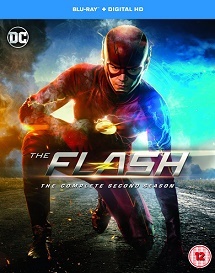 The TV series The Flash is a spin-off of fellow DC series, Arrow. 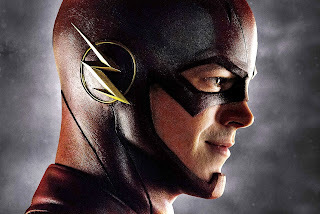 Barry Allen (Grant Gustin), who also appears in Arrow, is a Central City police forensic scientist with a reasonably happy life. 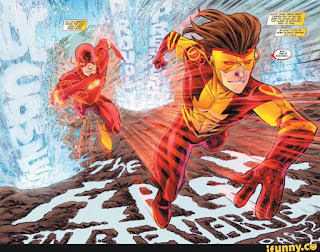 However, this all changes when a massive particle accelerator accident leads to Barry being struck by lightning in his lab. 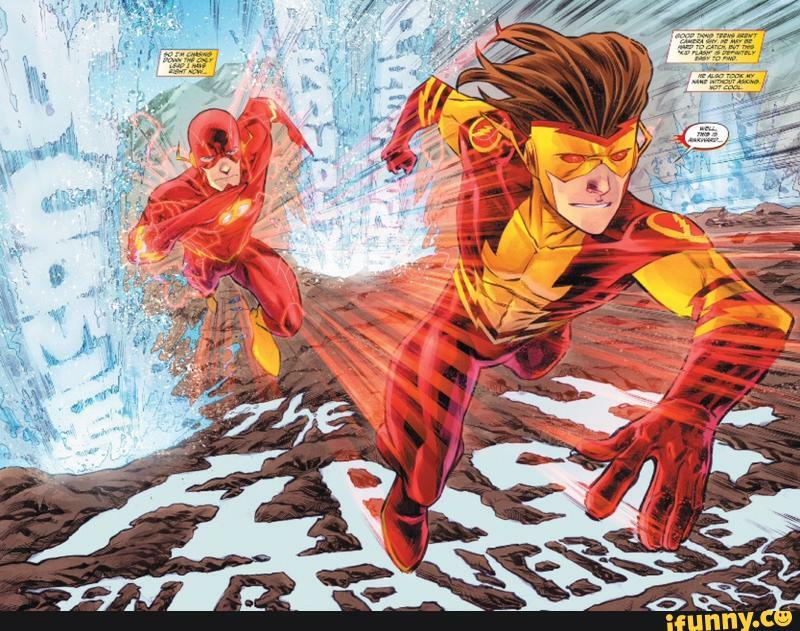 Coming out of coma nine months later, Barry finds that he now has the ability to move at superhuman speed and decides to become The Flash. The first season won the People's Choice Award for "Favourite New TV Drama". Creators Vince Gilligan and Peter Gould recreated some of the brilliance of Breaking Bad in the spin-off prequel Better Call Saul. This series follows the story of small-time lawyer James Morgan "Jimmy" McGill (Bob Odenkirk) on his journey to becoming his alter-ego Saul Goodman. Saul is not the only Breaking Bad character seen in the series, drug lord Tuco Salamanca and hitman Mike Ehrmantraut also make appearances. 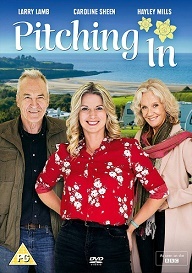 The show is in its second series and has received critical acclaim. Frasier was created as a spin-off of Cheers, continuing the story of psychiatrist Frasier Crane as he returned to his hometown of Seattle and started building a new life. It revolves heavily around his life as a radio host and his family, particularly his brother and dad. 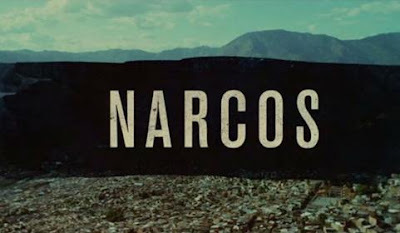 The series was critically acclaimed and became one of the most successful spin-off series in American television history. This spin-off, which starred John Barrowman as Captain Jack Harkness and Eve Myles as Gwen Cooper, originated from the 2005 revival of Doctor Who. It was highly successful and ran for 4 series following the adventures of a small team of alien hunters, who make up the Torchwood Institute. The hugely popular zombie apocalypse series The Walking Dead produced a companion series and prequel, Fear the Walking Dead. Set in LA, a dysfunctional family composed of high school guidance counsellor Madison, boyfriend Travis, daughter Alicia, drug-addicted son Nick, and Travis' son from a previous marriage, Chris are forced to fight for survival during the onset of the zombie apocalypse. 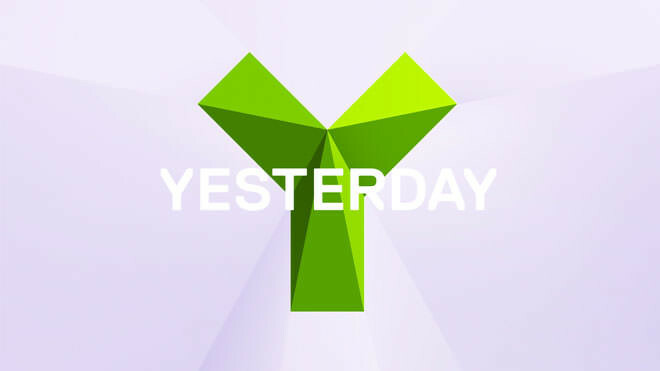 Due to its popularity, the show has recently been renewed for a third series. The BBC crime drama served as the sequel to the much celebrated Life on Mars, with 3 seasons, coming to an end in 2010. Swapping his Ford Cortina for an Audi Quattro, DCI Gene Hunt, (Philip Glenister) finds himself on the mean streets of 1980’s London. Hunt is joined by a new female detective, DI Alex Drake (Keeley Hawes). Drake, like Sam Tyler in Life On Mars, has travelled from the future after being shot in 2008. From the same creator as Buffy the Vampire Slayer, Joss Whedon, Angel focuses on the vampire character of the same name as he moves to LA in a quest for redemption. 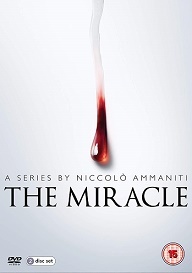 The story follows Angel as he helps the downtrodden citizens of LA by averting the supernatural creatures that prey on them, in the hopes of making up for his past evil deeds. After watching PITCH at the Essence Festival, FOX’s new drama has inspired viewers to become instant fans. The Goldbergs Season 4 premiere honors the greatest teen movie of the 80's - The Breakfast Club! The Goldbergs moves to a new time, Wednesday 8/7c September 21st on ABC. The Middle Season 8 moves to a new night when it premieres Tuesday October 11th on ABC. Ghost Rider joins the cast of Marvel's Agents of SHIELD Season 4 premiering Tuesday September 20th on ABC. 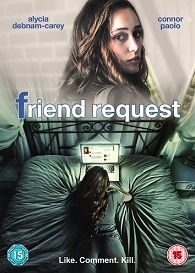 Friend Request is released on Bluray and DVD September 19. 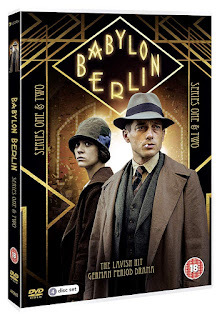 And to celebrate we have a great competition for you and 3 copies on DVD to give away. It's time to uncover Liz's twisted past when The Blacklist Season 4 premieres Thursday September 22nd on NBC. The biggest family on TV returns Wednesday, September 21st on FOX. For fifty years Star Trek has both attracted and created fans of science fiction. 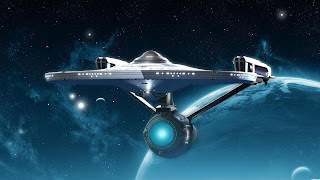 Any true Star Trek fan will tell you that the series has inspired numerous films and television shows with its high tech fantasy and boundary breaking plots. In honour of the 50th anniversary of the series, and the release of the 50th Anniversary TV and Movie Collection on Blu-ray on 5th September, we have compiled a list of the top 10 Star Trek-inspired films and television programmes spanning decades of entertainment history. The beginning of possibly the most successful franchise ever, Star Trek: The Original Series was rated the greatest cult show in history by TV Guide in 2004. It maintained its number one spot when the magazine revised the ranking in 2007. It is hard to believe that when Roddenberry first presented the original series to CBS, CBS turned it down and went with Lost in Space instead. The cult following that now spans over 5 decades and across the world was a surprise to all. An interesting fact about The Original Series is that Roddenberry originally wanted Spock's skin to be a dark red or at least to have a red tint. Unfortunately (or fortunately?) in the world of black and white television the idea was immediately abandoned! Speaking of cult followings, Doctor Who attracted a similar adoring audience from its birth onto small screens. Even now, its influence is undeniable; "Bow ties are cool”, said Matt Smith in his first appearance as The Doctor and bow tie sales shot up by 94% within a month! Fans have followed the thrilling adventures of a Gallifreyan Time Lord only known as The Doctor and his ever-changing companions for over 50 years. The programme was rebooted in 2005 to much critical acclaim, and new series subsequently saw Christopher Eccleston, David Tennant, Matt Smith and Peter Capaldi take the helm as The Doctor. A spin-off from a popular TV series, Galaxy Quest received its cinematic debut in 1999 and featured many of the original cast. The success of the film spawned 18 annual conventions around the globe which fans flock to every year. Director Dean Parisot and star Tim Allen revealed in interviews that the original tone of the film was much darker, with more scenes of violence. After test screenings, the film was recut to emphasize the comedy and obtain a PG rating. This intergalactic adventure, which interestingly was also the feature film debut of Justin Long, has now officially reached cult status! Five hundred years into the future, a renegade crew aboard a small spacecraft try to survive as they travel the unknown parts of the galaxy smuggling cargo and occasionally people. The crew’s evasion of warring factions and agents of the notorious ‘Alliance’ had viewers hooked and just as the ‘Alliance’ did, fans were tracking every move of this series. The show became an unprecedented cult hit and culminated in the 2005 film, Serenity which was also created by legendary writer and director, Joss Whedon. In this sci-fi adventure, the crew of the ship Serenity tries to evade a vicious assassin sent to recapture one of the crew members, a young girl called River. The feature film was a spin off from cancelled television series Firefly, and embraced the western genre alongside its science fiction roots. Interestingly, the DVDs of Firefly and Serenity were flown up to the International Space Station by astronaut Steven Swanson on board the shuttle Atlantis during its June 2007 STS-117 mission. This trilogy details the infamous adventures of Marty McFly, a 17-year-old high school student who accidentally travels 30 years into the past in the original film. Featuring a now legendary DeLorean, and the eccentric scientist Doc Brown, the films have gone down in sci-fi history. You wouldn’t believe that the script for the first film was rejected over 40 times by every major studio before finally being made in 1985. This thrilling and action-packed TV series follows the adventures of a secret military team, SG-1, formed to explore the universes made accessible by recently discovered “stargates”. The franchise began with the film Stargate (2007) and produced two further spin-off series including Stargate Atlantis and Stargate Universe. Producers of the Stargate SG-1 kept up with the opinions of their fans. The episode “Ascension” was directly inspired by ideas left in message board comments, showing the commitment and dedication given by the producers as well as the overwhelming fan base. This update of the late-1970s series takes an unquestionably darker tone as what's left of humankind struggles for survival against the robot Cylons who have killed millions. Also, in a strange link with No. 5, when character Laura Roslin goes to the doctor’s and finds out she has cancer, the ship from Joss Whedon’s series Firefly can be seen landing through the main windows. An unlikely group of individuals including a talking tree and a genetically modified raccoon are forced to work together to stop a fanatical warrior from taking control of the universe in this modern interpretation of Marvel’s Guardians of the Galaxy comic book characters. Although the film was popular, and crossed the $700 million worldwide box office mark, it was the sound track that proved a truly exceptional hit... Guardians of the Galaxy: Awesome Mix Vol. 1 reached the top of the Billboard 200 chart, becoming the first soundtrack album in history consisting entirely of previously released songs to top the chart. Andromeda shares a deeper tie to Star Trek than just being set in outer space; it was based on the notes Gene Roddenberry left behind. The series that documents the adventures of Captain Dylan Hunt and his crew members as they pilot the Andromeda Ascendant thousands of years in the future, was heavily compared to Star Trek. The show stirred up attention for also using Star Trek’s main writer Robert Hewitt Wolfe, which led to parallels being drawn between the two show’s key characters - Captain Dylan Hunt and Captain Kirk. Although Andromeda didn’t garner the same commercial success as Star Trek, it ran for 5 series, was re-syndicated on multiple networks and received several awards and accolades - proving that there is still a healthy appetite for sci-fi series! For Amenadiel, the decisions that lie ahead will change everything. Lucifer Season 2 premieres Monday September 19th on FOX. See what happens when time strikes back, when The Flash Season 3 premieres Tuesday October 4th on The CW.